Breakfast not sorted out for tomorrow? 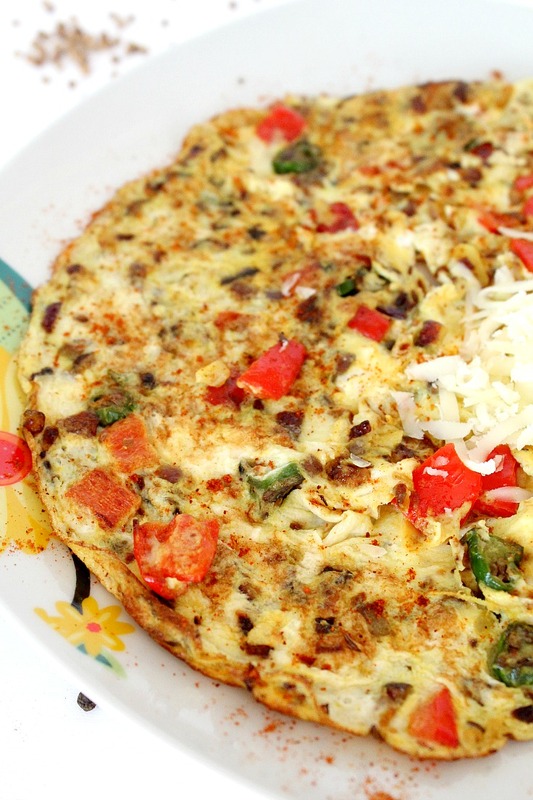 Make this spicy omelette recipe with lots of flavors and heat! It will soon become your favorite breakfast! I love breakfast! I simply cannot function without a few bites at breakfast, at least. 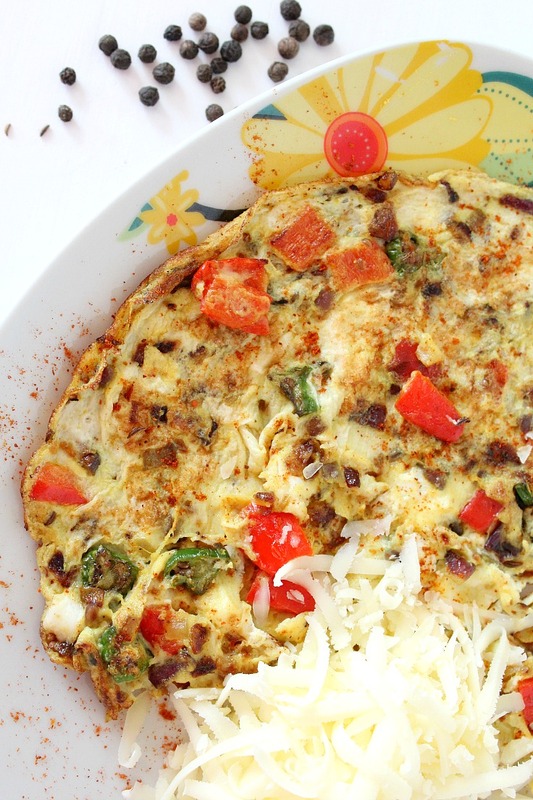 I normally like a pretty heavy breakfast, with lots of protein, veggies and a large variety of flavors and this spicy omelette recipe delivers just that! Breakfast is my main meal and it needs to be super nutritious! This Indian spiced omelette is also super useful if you have a hard time waking up in the morning (I actually hate mornings! I can’t talk to anyone before I have my coffee!). This spicy omelette recipe is not only full of Indian flavors, very nutritious and filling but it’s also pretty spicy so you’ll be fully awake in a couple of bites, no coffee needed!